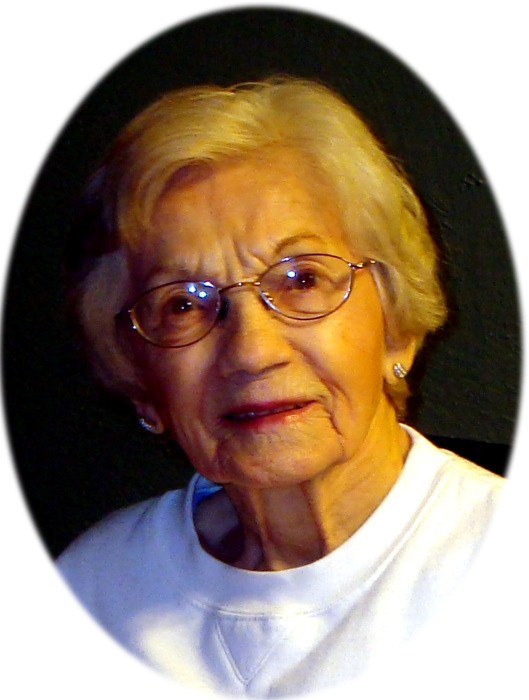 It is with mixed emotions I say goodbye to my Gramma, Katherine Prokop, after all, when you are days away from your 105th birthday life doesn’t have much more to offer. Katherine lead a very healthy and long life. Her life began as the 5th child of 12 born to Michael and Annie Pylypow of Glaslyn Saskatchewan. This is where she met and in 1935 married immigrant George Prokop. Together they had three children, Edna Holland, Robert, and Ina. After making their way to Fort William Ontario in 1941, Katherine and George began their adventure. Together they ran a Trucking Company, Mink Farm and owned and operated George’s Pool Hall in Port Arthur. In the early 50’s Katherine was employed at the Ministry Tree Farm and remained there until retirement in 1978. Katherines heart and roots have always been in Glaslyn where she would return yearly throughout her life to catch up on news of the growing family. I have fond memories of long trips out West on a greyhound bus. When Gramma turned 90, we thought it would be nice to take her out West one more time, so we packed up the motorhome and off we went. Well those of you that knew Gramma knew how much she loved her heels. It wasn’t long before she realized she could get up and walk around as we drove… and she did. And almost every time she did, she managed to step on the cat’s tail. With her heels. Needless to say, Gramma flew home. Katherine is survived by her daughters Edna and Ina, 8 grandchildren, 11 great grandchildren, and 6 great great grandchildren, and many many relatives out West. She was predeceased by her parents Michael and Annie, husband George in 1971, her son Robert and his wife Sylvia, and all of Katherines siblings. I would like to express my gratitude to all the staff at Lakehead Manor for their compassion and care for Gramma over the last 4 plus years. A special thank-you to Toni-Lynn for her special bond she had with Gramma. You always made her smile with your little dance and her daily chocolate donut. I know you will miss her dearly. There will be no service at this time. Katherine will be cremated and a small service will follow at a gravesite in the spring. Katherine Prokop will be remembered in the Blake Funeral Chapel Memorial Grove. Annual dedication service Sunday, June 14, 2020.